These earrings were handmade by Gemma for the exhibition "4 by 5". Gemma's collection in this exhibition explored the life cycle of the plant world. These earrings represent the awakening of spring. Each earring features three discs that contain a unique cellular pattern created with Gemma's compressed granulation technique which involves creating individual granules of metal, fusing them together and then rolling the object flat by hand. 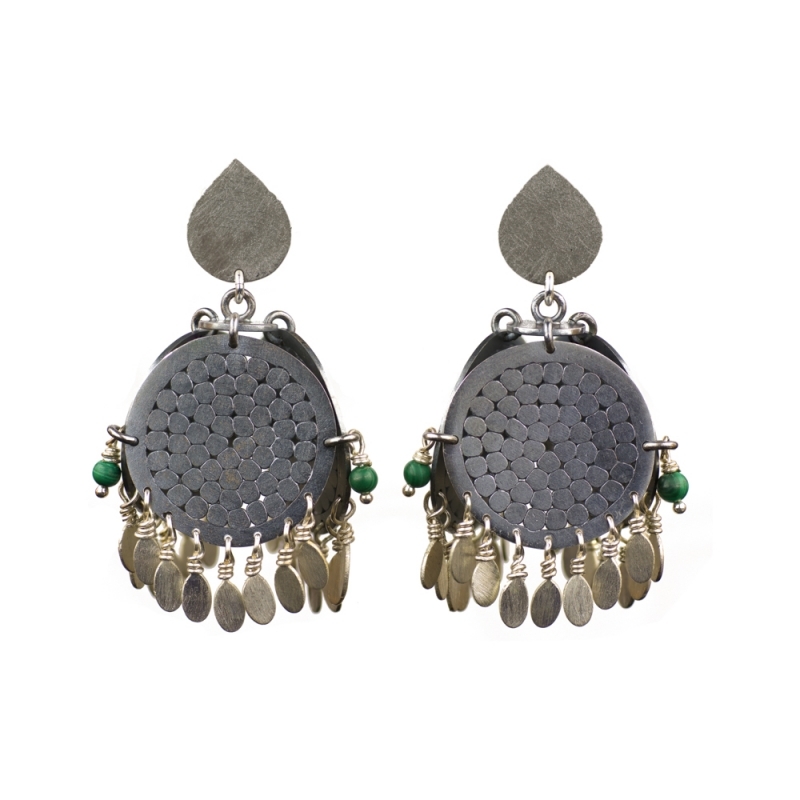 The earrings have a grey oxidised finish and are embellished with a fringe of handmade oval drops and malachite beads, all hanging from teardrop shaped studs. As a one of a kind item, these earrings cannot be reproduced, however, inquiries for a similar, but not exact replica are welcome, Please email sales@eclecticartisans.com.